2018 is coming to a close, so it’s a fitting time to relive all the best and worst moments of the year. Who was that grey flash? After his failed try-out for A-League side, Central Coast Mariners, Usain Bolt re-appeared in the form of Rugby Australia Chairman Cameron Clyne, updating the press after 2018’s final board meeting, last Monday. Reporters barely had time to push the record button before Clyne – channeling Mal Meninga’s aborted political career launch in 2001 – literally did the bolt, to continue mulling over Michael Cheika’s future. No, it’s TJ Perenara, flying through the air to pick off a pass and score a remarkable intercept try for the Hurricanes against the Brumbies, in Canberra. Or was it the Invisible Man? Brumbies winger/fullback Tom Banks impressed coach Michael Cheika enough to be named in Wallabies squads throughout the season, but seemingly not enough to be given the opportunity to show what he could do on the field. Remember how the Sunwolves’ Ed Quirk being issued with a red card by referee Ben O’Keeffe for punching Reds flyhalf Hamish Stuart in the face was supposed to signal the ‘death of rugby’? Well guess what? It hasn’t happened, the game lives on, more physical than ever. 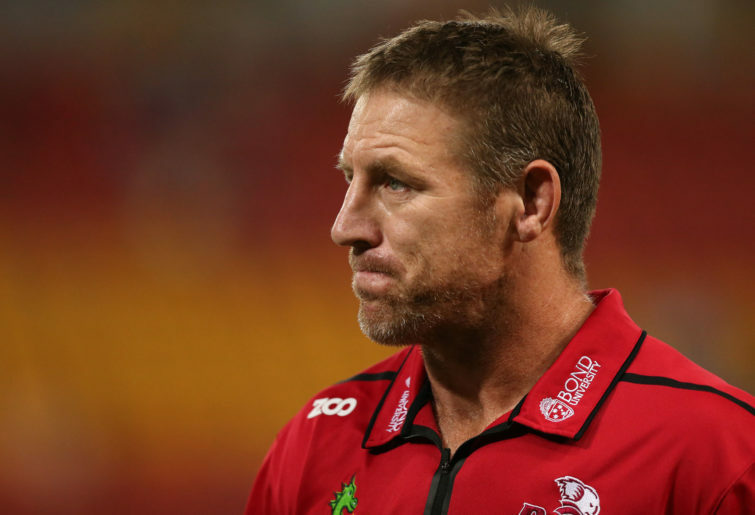 Despite overreach on the Quirk matter, there is a growing sense that, entering his second year as Reds coach, Brad Thorn is brewing something tasty. Will 2019’s results match that promise, and will Thorn and the Reds lose their card victim mentality? Richie Mo’unga, Steven Kitshoff, Bautista Delguy, James Ryan, Ardie Savea, Jordan Petaia, Albert Tuisue, Huw Jones, George Bridge, Owen Farrell (ok, spot the odd man out). If Jaco Peyper and Angus Gardner can’t spot Farrell using his shoulder on Izack Rodda and Andre Esterhuizen, are we expecting too much to think that referees – on the run – can clearly determine the contact point for chest high tackles? England prop Joe Marler headed off down the slippery slope of admitting he deliberately incurred red cards to avoid being selected for England Test squads, before awkwardly trying to scramble back up that slope, by clarifying that what we thought he may have meant, wasn’t actually what he meant at all. Sure Joe. And you really were scrumming straight all that time, too. How’s that kicking game coming along? An Achilles heel for several seasons now, the Wallabies scoured the true depths with the boot against Wales in November, running out of ideas on attack, completely losing shape and structure, and resorting to aimlessly pop-gunning the ball to an appreciative Leigh Halfpenny. Australia’s biggest and most popular winter sport is based around the kicking of a football, accurately over distance. How can it be that there has been little or no transference of this skill into Australian rugby? With time up on the clock and the Crusaders safely leading the Highlanders 45-22, cementing top spot on the ladder, they were awarded a penalty in a very handy position. All eyes were on Super Rugby’s first double centurion, Wyatt Crockett, to step forward and cap the celebration with a shot for goal, but even after 200 matches, not yet knowing if he kicks with his right or left foot, a typically modest Crockzilla pointed to the sideline and mumbled ‘get on with the game fellas’. 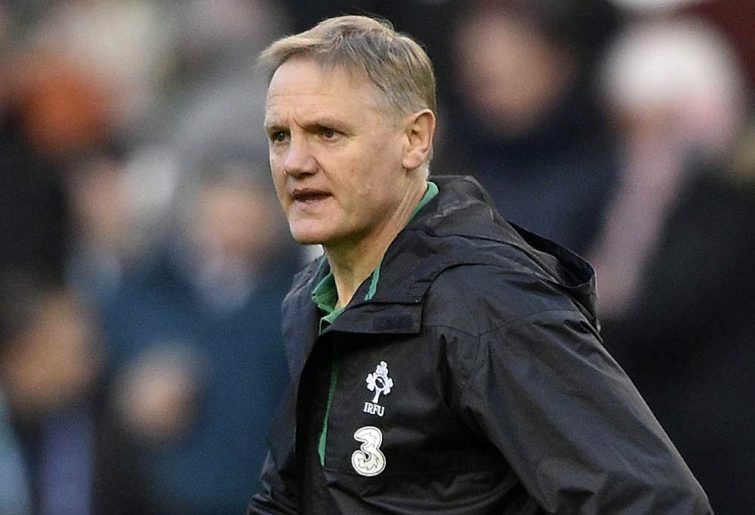 Fresh off winning the Six Nations title, a series win in Australia, and beating the All Blacks, Ireland coach and 2018 ‘World Rugby Coach of the Year’ Joe Schmidt celebrated by effectively announcing his retirement, effective after next year’s World Cup. Seeing we’re here, do you mind putting the kettle on? Jordie Barrett taking fan engagement to a new level, dropping by with Maccas on the way home – or was that on the way out? Rebels coach Dave Wessells sharing his backstory and his love for the game with a spellbound audience at the Weary Dunlop Lunch, prior to the Wallabies vs Ireland Test match in Melbourne. The massive Springbok effort to shock the All Blacks in Wellington would have come to nothing had Damien McKenzie been able to pass to an unmarked Ben Smith on the final play of the match. It was electric winger, World Rugby ‘Breakthrough Player of the Year’ Aphiwa Dyantyi, who rolled the dice, throwing out a right hand to jolt the ball free, and frank an incredible turnaround on 2018’s 0-57 drubbing. Amanaki Mafi, perpetual Super Rugby crowd pleaser, crashing and burning in spectacular fashion, following the Rebels’ final round loss to the Highlanders in Dunedin, re-arranging the face of team-mate and friend, Lopeti Timani – unfortunately without Timani’s consent. To borrow an old saying… it’s an ill wind that blows in Dunedin after midnight. The sight of Andrew ‘Twiggy’ Forrest doling out sunscreen to devoted Force fans demonstrated the power of leaders connecting with the grassroots fan-base at a personal level. What this means for Global Rapid Rugby is another matter – a competition that remains short on important detail, with question marks about law variations aimed, in some cases, at fixing problems that don’t actually exist. By the way, did you know that Richie McCaw was a cheat? Frustrated by what he interpreted as time wasting tactics by Ireland, Fox Sports commentator Phil Kearns’ accented detour into “fiddle dee dee, potato, potato”, was as bizarre as it was unprofessional and typically off the mark. CEO material? For fans quick to condemn the board of Rugby Australia for every single thing they do, here’s compelling evidence that they got this one right. David Warner’s brother, Mitchell Johnson’s mother, Jelena Dokic’s father and… Adam Ashley-Cooper’s sister-in-law… joining the honour roll of relatives causing grief for famous sportspeople. Bath fullback Freddie Burns caught out ‘showboating’ over the try-line versus Toulouse. Scotland’s Jamie Farndale at the Dubai sevens, bumbling the act of scoring the winning try against Fiji, inexplicably trying to improve the position for a conversion they didn’t need. Re-defining the term ‘coach killer’. 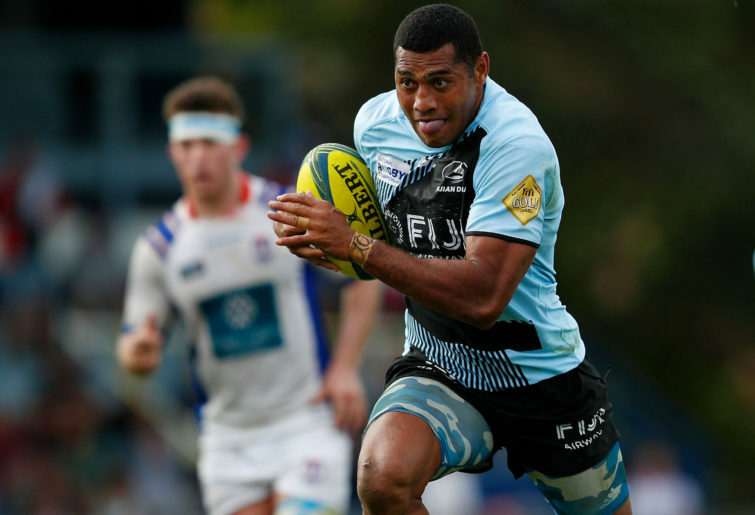 Rugby Australia does the right thing by inviting the Fiji Drua to add value and excitement to the NRC, and to benefit rugby overall by aiding Fiji’s player development, but in the process creates a rod for their own back – date stamped Sat 21st September, 2019, 13.45pm, Sapporo Dome, Japan. The New Zealand means and women’s sevens teams sweeping the World Cup Sevens gold medals at San Francisco’s spectacular AT&T Park. You know how that Japanese soldier came out of hiding after 29 years in a Philippines jungle? Only 28 and a half years to go for Baldy from the Gold Coast, after he unwisely ignored the option to leave his feedback in the Rugby Australia suggestion box, electing instead to provide blunt advice directly to an emotional Lukhan Tui. Who knows, by the time it’s safe for Baldy to stick his neck out in public again, the Wallabies backs might understand their defensive role, Farrell might have learned to use his arms and Sam Whitelock might have changed his undies. Hard to go past David Byrne’s ‘American Utopia’ November tour, brilliant in its visual conception, re-visiting tracks from 1986’s ‘Remain in Light’ with astonishing precision and energy. Much lower key, but kicking back in Austin’s Saxon Pub on a Monday night, enjoying the warmth, humour and soul of Bob Schneider, was simply wonderful. With Jazzfest at New Orleans comprising seven days of music across over a dozen stages, deciding on which acts to see is fraught with danger and potential regret. But on the festival’s smallest stage, tucked in behind the racecourse grandstand, it was a thrill to discover ‘The War and Treaty’, the irresistible musical and spiritual vehicle of husband and wife, Michael and Tanya Trotter. Word has spread quickly, and the ‘hype-meter’ on this couple has been wound up higher than Twiggy’s Global Rapid Rugby. It’s entirely justified. So what were your memorable moments from the year – good and bad? Please share. And, while you’re at it, have a great Xmas and holiday season. Looking forward to doing it all again in 2019!